Banned from Hearing, Bikers Receive Apology | Hupy and Abraham, S.C.
Motorcyclist profiling has been a growing problem in America. Stopping and questioning motorcyclists based solely on their manner of dress is reprehensible and discriminatory in nature. Two states, Washington and Maryland, have passed legislation seeking relief from this practice. On March 4, 2019, a despicable display of acrimony took place in the Idaho State Capitol. Motorcyclists arrived to witness a floor vote in the Senate on S1109, a bill written to reduce profiling of bikers. In a cruel twist of irony, two men were denied access to the hearing room until they removed clothing signifying affiliation in a motorcycle club. One was a member of the Brother Speed MC, and the other was an associate of the Vagos MC. This blatant display of disrespect for the principle of free speech in a government building, a supposed bastion of free speech, was outrageous. It was Capitol Security, acting on orders from the Sergeant at Arms to the Senate, to deny the two men access into the hearing room. The riders complied with the order, because they did not want to miss the vote on S1109. Unfortunately, the bill failed passage by one vote, adding insult to injury. ABATE of Idaho drafted a letter to every legislator in Idaho after the vote, demanding that the practice of denying entrance to a hearing room, based solely on clothing, cease and desist. Hill replied that Senate Rule 46 (E) prohibited lobbying in the Senate or hearing rooms without permission, but ABATE pointed out that simply wearing motorcycle attire did not constitute lobbying under the definition of the term. Finally, Hill stated on March 13 that it was not the practice of the Senate to deny access solely based on the color of certain clothing. 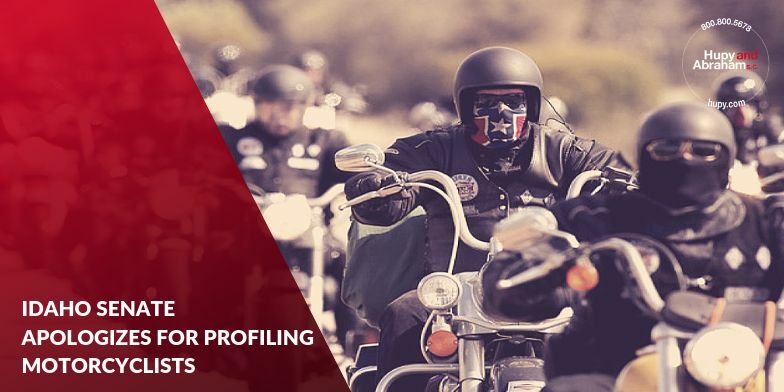 The clarification of the policy, along with recognition by the Senate that the motorcyclists of Idaho were not going to allow this sort of contemptible behavior to go unchecked, marked a decided victory against the practice of profiling.